The stunning new development at London Dock in Wapping E1 is just moments away from Wapping High Street and a number of London’s most popular landmarks. Developed by St. George, these eye-catching apartments to buy in London provide a unique and desirable place to live. London Dock in Wapping E1 is catching the eye of potential residents and investors alike thanks to the incredible look and location of these one, two and three-bedroom apartments. St. George, part of the Berkeley Group, has created a brand new landscape for the city with green and open spaces, water gardens, central squares and promenades for the residents to utilise; while also having an abundance of bars, restaurants, retail and commercial space on the doorstep. Stunning apartments, beautiful penthouses and vast open spaces are merged perfectly with the architectural heritage of this historic dockside location. Arrival Square welcomes residents and visitors to London Dock with a beautiful word trail, exquisite colours and scents that change with the seasons and water gardens, that offer private space from within, and spectacular views from above. At the centre of this new development is Gauging Square with a spectacular water feature inspired by a water mirror at the Place de la Bourse in Bordeaux. Rich in maritime history, once forming part of the thriving docks, this area was the commercial hub of London, importing a wealth of products and luxury goods from around the world. St George has commissioned renowned architect, Patel Taylor, to create a dynamic new future for London Dock. The vision retains the architectural heritage of this historic dockside location, in design and detail, combining new and old. Stunning apartments and penthouses, beautifully landscaped open spaces, water gardens, central squares and promenades lined with shops, bars and restaurants are at the heart of this vibrant new destination. Pennington Street Warehouse - The historic Grade II listed Pennington Street Warehouse is a legacy of the trading past of London Dock, where precious goods such as silk, wines, coffee and tea were once stored. The magnificent building will be restored to create a new retail and cultural venue. At London Dock, St George is creating a new generation of open spaces, destined to reflect 21st century living and become part of the fashionable map of this global city. At the heart of London Dock, Gauging Square is set to become one of the capital’s great public squares, with a spectacular water feature inspired by Le Miroir d’eau, a water mirror at the Place de la Bourse in Bordeaux. Gauging Square will revisit London Dock’s historic trading links through a contemporary architectural interpretation of this classic French square - as a landmark anda place to enjoy. 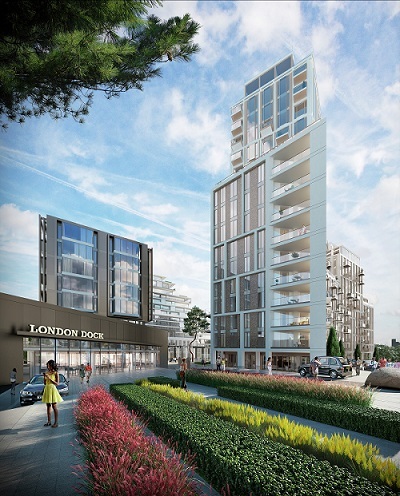 A dramatic gateway to London Dock, Arrival Square combines vibrant new design with historic elements in a rich tapestry of exciting architecture and landscaping. A word trail connects the spaces and weaves London Dock into the fabric of the city. With colours and scents changing with the seasons, the lush green landscapes in the Market Gardens offer a tranquil escape for peace and reflection. Designed to feel as though you are stepping into a painting, the Water Gardens are a composition of vivid plants, flowers and water, offering intimate, private spaces from within and spectacular views from above. 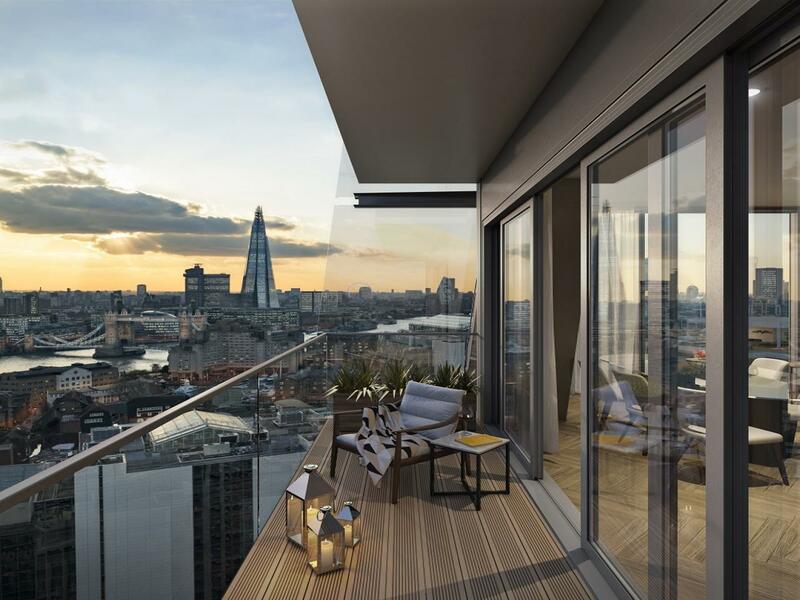 The new release at London Dock, Clipper Wharf, provides a selection of Manhattan, 1, 2 and 3 bedroom apartments and 2 and 3 bedroom penthouses and occupies a premium position within London Dock, with direct views south over Gauging Square. 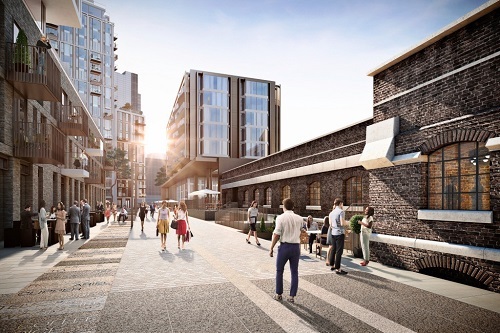 Clipper Wharf will create a new sense of place and arrival, providing a connection to London Dock's architectural heritage and a physical link to the historic Pennington Street Warehouse. Inspired by the clipper ships that sailed on the River Thames, bringing goods from far away places, the maritime theme is reflected in the architectural design of the balconies and terraces, with intricate bronze detailing creating reflection and movement. London Dock offers the very best of capital living, combining architecture and design with premium hotel-style facilities. 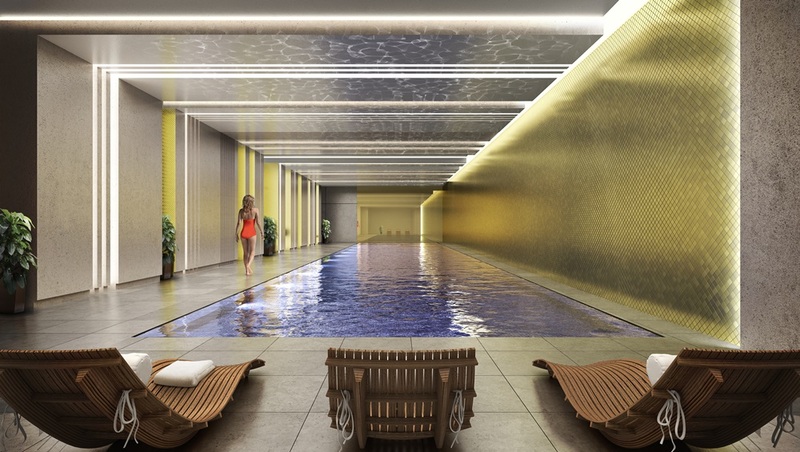 At its heart is The Club, a private resident’s club, with an exceptional health and fitness suite, complimented by a dedicated concierge service and managed underground parking. Overlooking the spectacular Gauging Square – the centrepiece of London Dock – the terraces and balconies of Admiral and Alexander Wharf make the very best of their position at the heart of this unique development. With exquisite interior designed entrance lobbies and corridors, both Admiral and Alexander Wharf set a new benchmark, with distinctive design and quality materials throughout. The stylish entrance lobby, with relaxing seating area, creates the perfect welcome. Dual lifts lead to all floors, where the interior design continues throughout the individual corridors, creating a seamless journey to your apartment.